KUALA LUMPUR: Malaysia's prime minister said Monday a Chinese company building a rail link across the Southeast Asian nation will jointly help to manage and operate the network, part of revised deal that will get the stalled project off the ground at a lower cost and ease strained relations. The rail project will now cost 68.7 million ringgit ($16.7 million) per kilometre, down from 95.5 million ringgit ($23.2 million) previously, he said. Although the rail project will be shortened by 40km to 648km, he said the double-track line will have 20 stations and cut through five states, instead of four previously. He said the new alignment will also mean avoiding having to tunnel through a mountain range in central Selangor state, which is the longest pure quartz dyke in the world. He said the government is also ``taking advantage of the agreement to work out the purchase of palm oil by China,'' but didn't give further details. 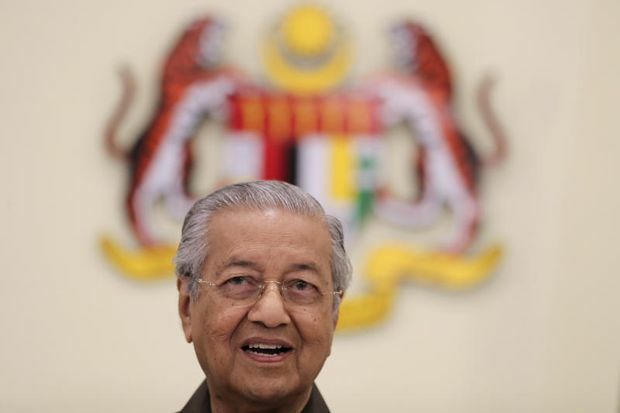 Apart from the rail link, Mahathir's government last year also cancelled two China-backed pipelines costing 9.3 billion ringgit ($2.3 billion) after discovering that 90% of the project's costs had been paid but only 13% of work had been completed. 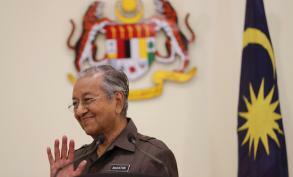 The government has said it is investigating whether any money in the rail project had been channelled by Najib's government to repay debts at the 1MDB state investment fund. A massive financial scandal at 1MDB led to the election loss of Najib's coalition last May and Najib is currently on trial for multiple corruption charges linked to 1MDB.